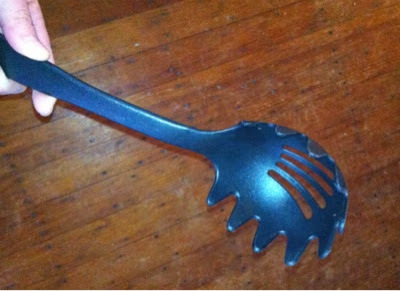 I don't know what this kitchen utensil is technically called, but it's something like Spaghetti Noodle Grabber. I call it the Kool-Aid Stirrer. And it makes a good back scratcher, if you're in a pinch. What do you call this thing? Any other uses for it?